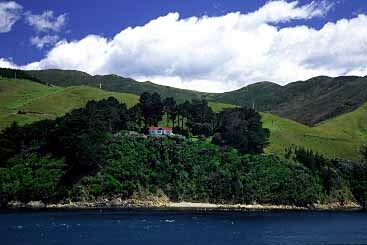 The only way to get from the North Island to the South Island (apart from flying of course) is to cross the windy Cook Strait. 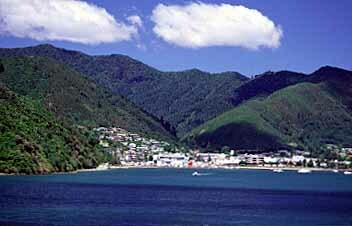 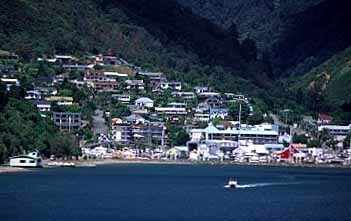 The ferry operates between Wellington in the north and Picton in the south. 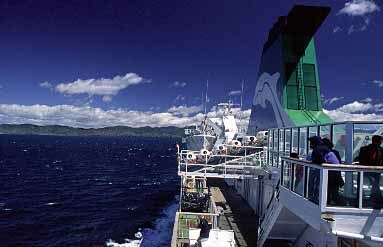 I took the huge "Interislander" ferry which can accommodate a train, huge lorries and other vehicles. 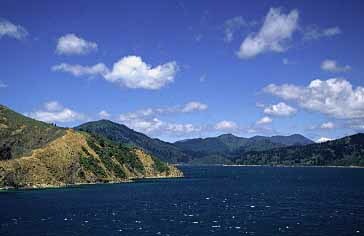 The crossing takes about 3 1/2 hours and is incredibly spectacular if undertaken on a sunny day can become a highlight of every New Zealand journey. 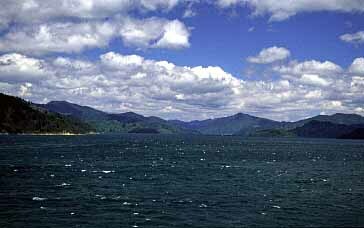 When the ferry approaches the South Island it is difficult to see any gap. 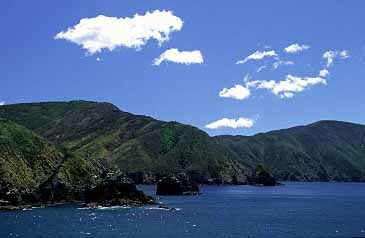 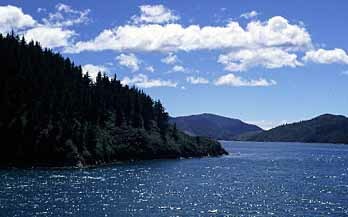 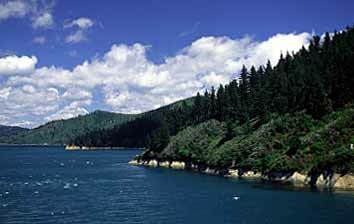 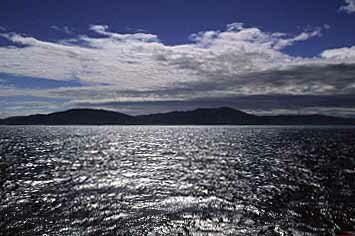 Suddenly, it turns and enters narrow Tory Channel leading to spectacular Queen Charlotte Sound.